I’ve got another review for you today. These are the matte versions of the Rimmel Apocalips Lip Lacquers which I reviewed here. I have high expectations for these because I loved the originals. T – B: Rimmel Apocalips / Show Off Matte Lip Velvet in Meteoric Matte, Burning Lava, Orange-Ology and Atomic Rose. I think the colors are much more wearable even though they’re on the brighter side. I have three shades from the original range and I really only use the shade Celestial (dusty rose) shade because the other two are way too bright for my liking. You’ll see that I have two versions of the matte lip velvets – the Apocalips and the Show Off. This is because I purchased two of the shades in the States (Atomic Rose and Burning Lava) and “Show Off” and I was sent the other two shades from Rimmel Australia (Orange-Ology and Meteoric Matte). I really don’t know why the names are different in UK/Australia and the States! Check out my review and swatches below! The application method and packaging of these, including the applicator, are exactly the same as the Rimmel Apocalips/Show Off Lip Lacquers – you can read my review of those here. The only notable difference in the packaging is that the Matte Lip Velvets’ packaging have a matte finish. 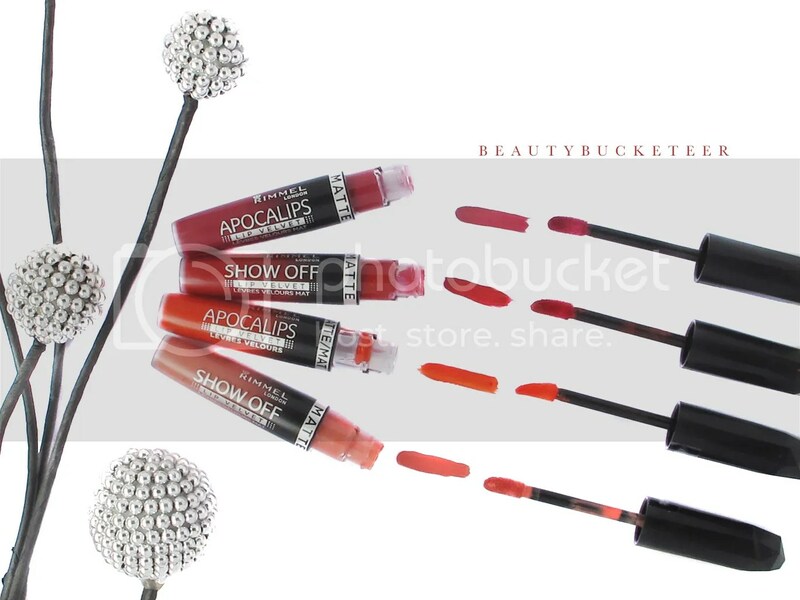 The texture of these are similar to the Lip Lacquers, but it doesn’t feel as oily or slippery. It’s actually velvety and applies evenly, but as with liquid lipsticks in general, they can be very tricky and awkward to apply. Application can be very messy if you’re not used to these kinds of products. It’s really hard to get a crisp application at first try! This product isn’t one that you can apply in a rush or on the go, you have to have a steady hand and apply it slowly as the color is so intense and crazy pigmented, and it’s easy to make mistakes! Once you apply it out of your natural lipline, it’s really difficult to fix because the color stains the skin so quickly, which I think is a good thing because that means it’s so long lasting. However, just make sure you apply thin layers at a time and do it carefully. 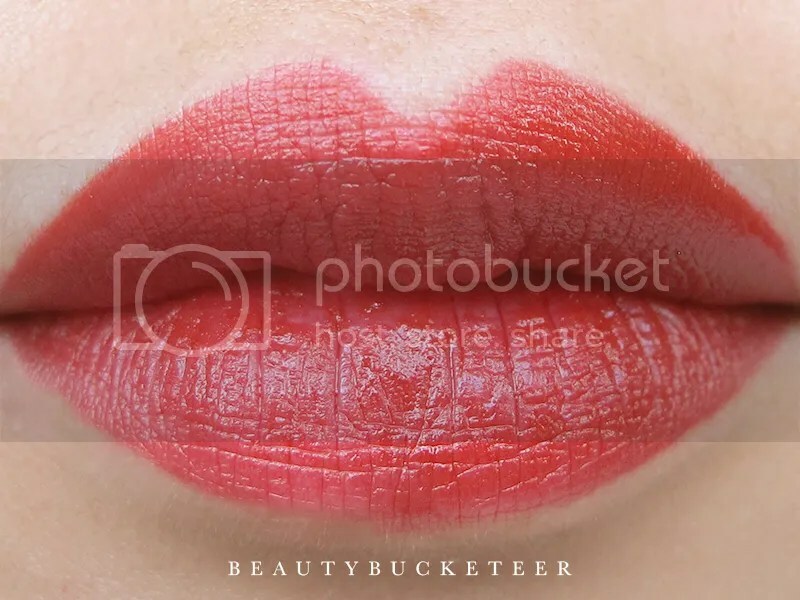 Also be careful when pursing your lips – try not to purse your lips until the 10th or 15th minute because it will create lines and unevenness. If you want to blend out the color, simply use a clean finger. The texture actually reminds me of the NYX Soft Matte Lip Creams, which I reviewed here. However, this is much more dry-lips friendly. This doesn’t settle into dry patches/flakes and is very moisturizing even though it has a matte finish. These are supposed to be matte, I know, but they have more of a satin finish. They won’t turn matte until the first or second hour mark. They also feel slightly powdery when they’re in the process of settling into the lips. 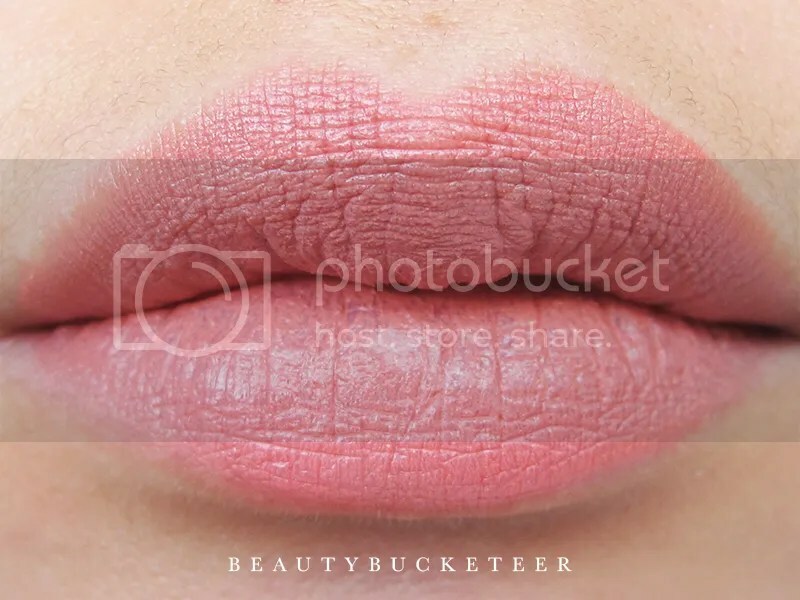 So if you’re looking for something that would go completely matte at first swipe, this isn’t the product for you. I personally don’t mind that it’s not completely matte though. If I want these to be completely matte, I simply blot the excess with tissue and the product turns completely matte. Check out the swatches below! 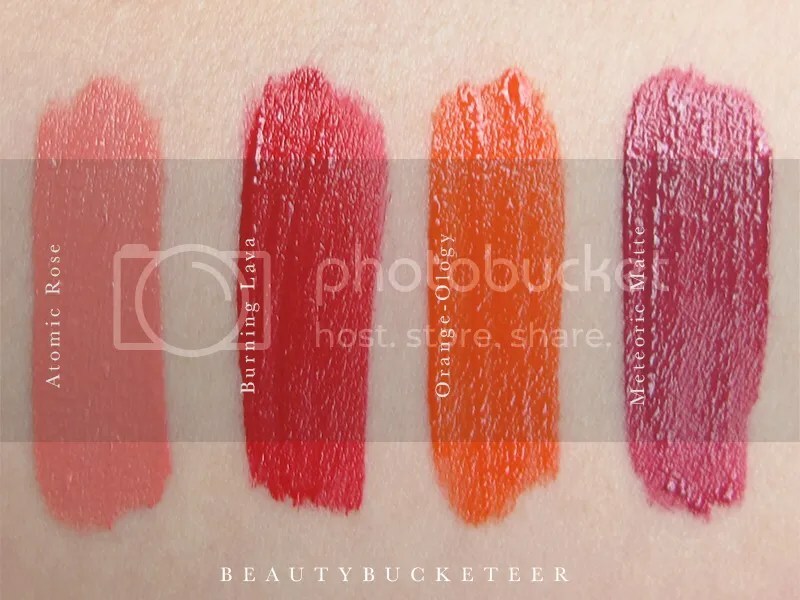 L – R: Rimmel Apocalips / Show Off Matte Lip Velvet Swatches in Atomic Rose, Burning Lava, Orange-Ology and Meteoric Matte. 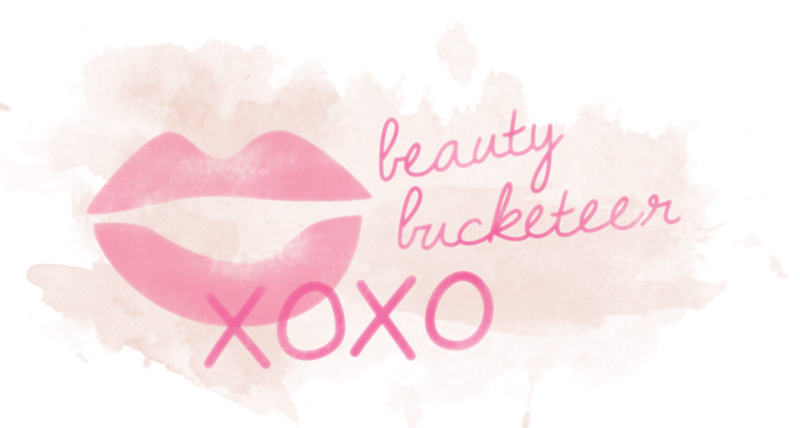 My favorites are Atomic Rose and Meteoric Matte! I’ve got the lip swatches below but excuse the bad lighting! Took these right before sunset and it looks a bit washed out. Will try to retake the lip swatches later. In the meantime, here’s the breakdown of the shades. Atomic Rose is a beautiful light dusty rose, lighter than the Apocalips Lip Lacquer in Celestial. It’s such an amazing, everyday shade. It looks so pale here but trust me, it’s not as pale in person. It’s actually more of an MLBB (my lips but better) shade. The arm swatch is actually very accurate. 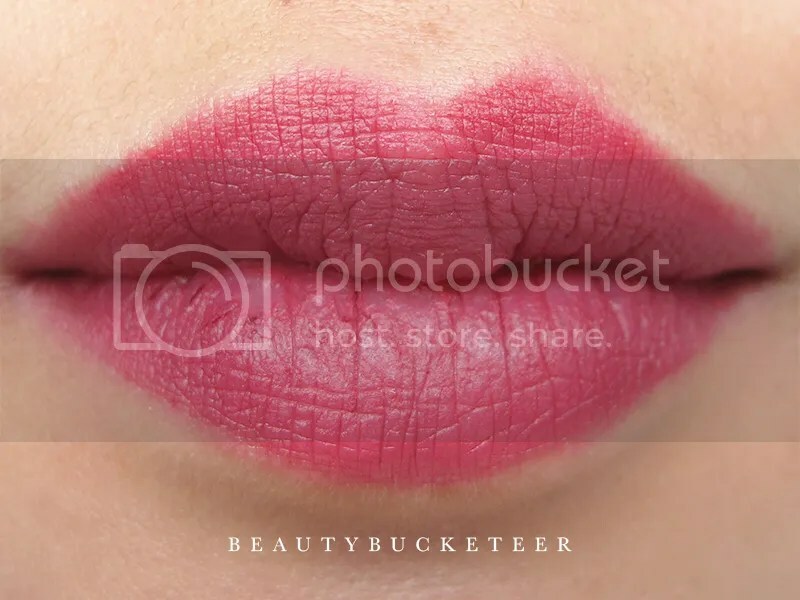 This is the only color that does not stain the lips, though. So once it fades, it fades away completely and I’m not surprised, given the lightness of the color. This is my favorite and I’ve been wearing this a lot this past few weeks. Burning Lava is a drop-dead gorgeous “burning” bright red. It’s more warm toned than cool, and is a stunning red for all occasions. I rarely wear reds but this shade makes me want to wear red much more often! 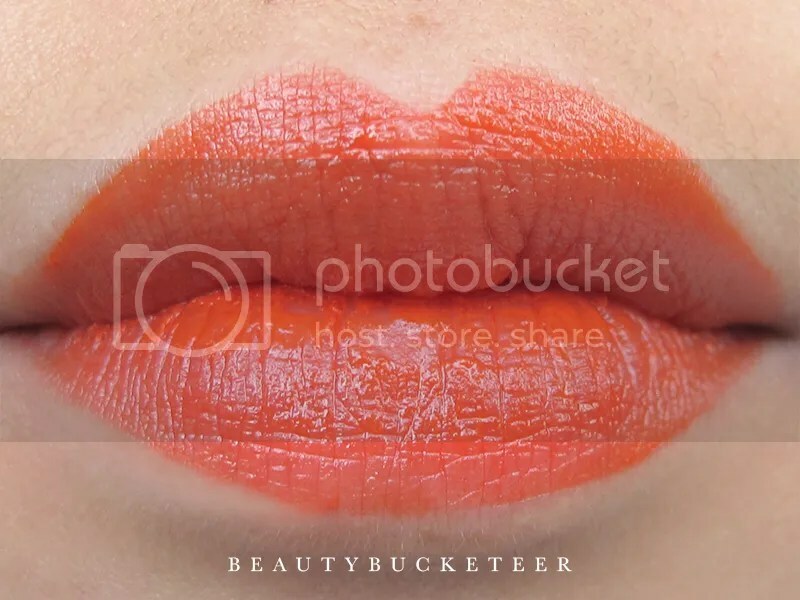 Orange-Ology is a full-on bright orange shade, and is honestly, the least wearable for me. I’ve actually never worn this shade out – it’s just not my color. It’s beautiful but not something I would wear – but would be perfect for fashion/editorial photo shoots! I will definitely use this on my models/clients for fashion shoots. Meteoric Matte is a gorgeous plum shade with neutral-warm undertones and is unexpectedly my favorite out of the bunch. This is how the shade looks after three hours of wear (and a meal!). The color is much more intense at first application, but I can’t believe it’s still this intense after devouring two huge quesadillas and a cup of coffee. The longevity isn’t crazy amazing, especially if you expect the shades to remain as vibrant as when they were first applied for a long time. I had these on for over 4 hours, but it has already become more of a stain by then. However, the stain never actually faded until I removed it at the end of the day. The only shade that does not leave a stain is Atomic Rose, and that’s because it’s the lightest shade. Note that these smear easily, btw! I was playing around with my son when I had this on – less than an hour after application he accidentally slapped my mouth. (He still has terrible hand-eye coordination LOL). The product still hasn’t set completely even after about half an hour, so he had the lip color all over his palm and fingers, and the lip color smeared all over my mouth area too! I guess the color won’t completely settle until the second or third hour mark. If you’re looking for intensely pigmented and super long wearing lip products – try the Rimmel Provocalips instead, which I reviewed here! I’d give these 3.5/5 because of the short wear-time and the crazy length of time it takes for them to settle. Can’t blame them for the difficulty in application though, because that’s always the case with liquid lipsticks. I would personally repurchase these, except Orage-Ology, but only because I love the shades and the satin-matte finish. If I could find shades like this with longer wear time, I’d definitley leave these. Have you given these a try? Will you be giving them a try?